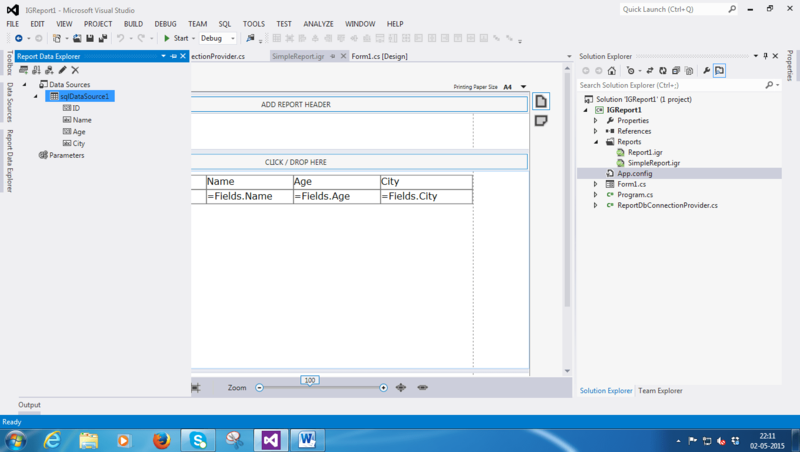 We open the same Visual Studio project that we created in our article here. 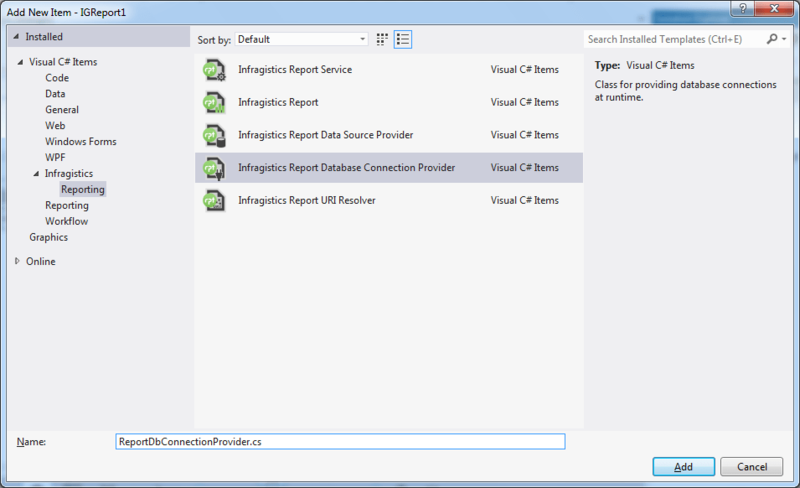 Infragistics provides a specific template named “Infragistics Report Database Connection Provider” which implements “IReportDbConnectionProvider” interface. 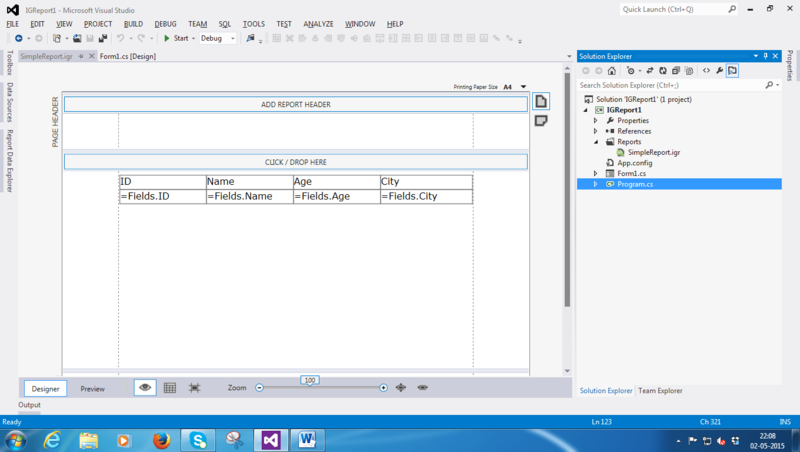 We add a class to our project as show below and name it as “ReportDbConnectionProvider.cs”. By default the template gives you the following code. Implement the following code in your “ReportDbConnectionProvider.cs” file. 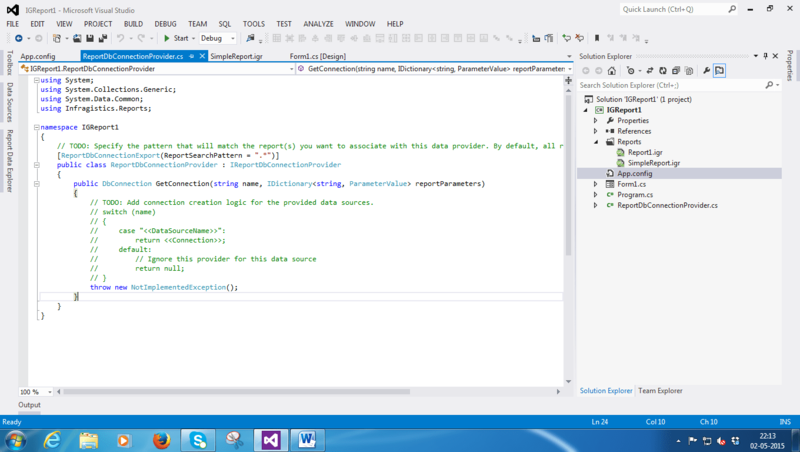 As you see above, I have added code in GetConnection() and returned an SqlConnection object with my custom connection string for the data source named – “sqlDataSource1” which is the Data Source used by our project. Now, when you execute the project, your report will use the new connection string. Hope you like this article. Keep learning and sharing!